So. I felt after my last post, I might’ve misconstrued where my post was going by using a graphic image that depicted the sales of hardback books vs. ebooks. It will not come as a shock for some to learn that ebooks have outpaced the sales of hardback books on Amazon. I can’t remember the exact date of the press release that Amazon put out about it, but I do remember hearing gasps of amazement from some normally cynical punters. I don’t blame them, and in fact, I’m sure there’s some marketing guy somewhere who got paid a big fat bonus for skewing the stats to put the Kindle in a favorable light. Let’s not kid ourselves – Amazon’s out for blood. And book publishers are scrambling faster than a bunch of Johns caught in a raid on a whore house. Yep, I actually used that analogy. Publishers aren’t the only ones panicking. In fact, I’m trying not to panic, but you know me, I’m a professional worrier. If MacMillan is forced to take on the juggernaut (MacMillan won, but now we have ludicrous situations where some ebooks are more than HB) then what are the chances of the other publishers getting into the mix? What happens for the smaller houses that are more likely to pick up my work? Hell, what if I can’t get a deal and I have to think about ebooks? Do I want to deal with the trauma and the drama? I would find this whole struggle between good and evil more interesting if my personal interests weren’t caught up in it. (It’s probably more like evil vs. evil as the author loses IP and money either way -ed.) A publishing deal is the golden chalice for most aspiring writers even if they get crumbs for royalty payments. These days any budding writer should count themselves lucky if they get a deal and/or advance at all. When I start to hear about experienced, published authors getting 5K advances, I start to hyperventilate and sweat profusely. That’s what I mean about equal doses of hysteria and euphoria although the latter seems to be lacking in this blog thus far. I get the ebook model, sort of, once you look past the panic-stricken publishers. After all, it’s not much different from what’s been done with ESD in the games industry. Some indie developers are making great money from going solo from major game publishers and have never looked back. It takes perseverance, arrogance, and some good marketing tactics. Oh, and some handy dandy contacts in the OEM sector doesn’t hurt either. So I guess you could say the same could happen for aspiring authors if they were savvy enough and ambitious enough to run their own show. I’m not sure some authors have it in them and their chances of survival may be slim to none (unless of course, you’re already a famous author then you’re probably not reading this blog). In the end, I’m still holding out to make a final decision about ebooks. And honestly, until I have a final submittable manuscript then there’s no point to speculate. 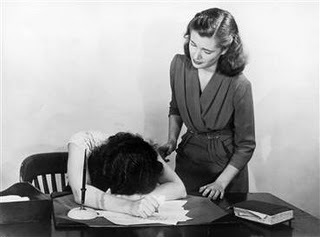 I still have a way to go – complete the manuscript, revise like a lunatic, and grovel to the agent before getting to the publisher part. I know, ain’t life grand? Anyhow, I promise to post more of the euphoria stuff. Hysteria is best served in small doses, me thinks.